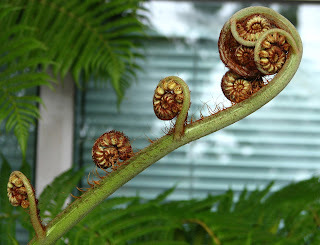 Can you imagine eating a fern? WEIRD? It may seem unusual to forage for food but that is exactly what the owners of Monument Hill Farm did this weekend. And they found the fiddleheads. The flavor is reminiscent of asparagus but maybe a little nuttier. Clean and trim the fiddleheads, drop in a bath of ice water and drain. You can sauté in oil or butter with garlic add some chopped nuts and it's a wonderful side dish that says "yeah winter is over"